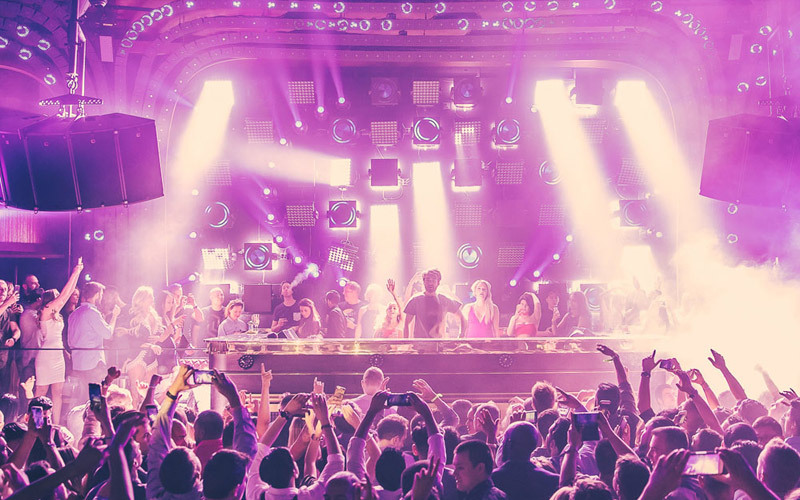 How to Get Added to the Jewel Guestlist at Jewel Nightclub? 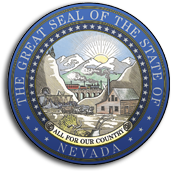 To access the Jewel guestlist at Jewel Nightclub in Las Vegas NV at the Aria Hotel and Casino with our company, please review all of the details below so your group is aware of the policies that the club provides. It can be embarrassing and frustrating to wait around in line all night, and then not be able to enter the club, so please take into serious consideration the tips that we offer to ensure a smooth entry. Are you trying find out how to get added to the Jewel guestlist at Jewel Nightclub? You have come to the right place for all of your nightlife needs at this 24,000 square foot venue. When you arrive you will notice a line for the guestlist, general admission, and bottle service reservations, and presale tickets. The security and hosts can guide you to the proper line. Please remember to abide by the dress code standards to ensure a smooth entry. Remember to plan your arrival in advance to avoid capacity levels, and the cut off time. Is there a Jewel guestlist at Jewel Nightclub? Yes! Please send us your First and Last Names as well as the number of people in your group no sooner than 48 hours from the day of your arrival, and no later than 7:00PM of the day of your arrival. How many names can I add to the Jewel guestlist at Jewel Nightclub? Girls can add as many girls names as they would like to the guestlist any night of the week, and guys can be only be added on industry nights by Females. Can guys be added to the Jewel guestlist at Jewel Nightclub? Yes but only on Monday night which is Industry night. There must be an equal guy to girl ratio on industry nights in order for guys to receive admission benefits such as free entry, and half off cover. What time does the line for the Jewel guestlist at Jewel Nightclub close? The line for the guestlist closes at 1:00PM. We suggest you arrive by midnight to avoid the cut off time. During busy nights and holidays we suggest you arrive by 10:30 to 11:00 to beat the late arrivals, and to give you enough time through the waiting process. Does the Jewel guestlist at Jewel Nightclub entitle free entry or reduced admission? The guestlist is always free for ladies, and is only free for men on industry Monday nights, but there must be an even guy to girl ratio. Guys can stand in line with ladies that are on the guest list but may be asked to pay full cover or reduced admission if there is an uneven guy to girl ratio on weekend nights. How long is the line for the Jewel guestlist at Jewel Nightclub? The line typically takes about 45 minutes to 1 hour to get inside. You can expect to wait even long during busy nights or holidays. The line closes at 1:00AM so we suggest you arrive a quarter before midnight at the latest to make things safe. The earlier you can arrive, the better. How do I add names to the Jewel guestlist at Jewel Nightclub? Please submit your First and Last Names through our submission form on our website by 8pm. You can also email us through the website or call us. Does the Jewel guestlist at Jewel Nightclub guarantee entry? Yes it does guarantee entry, but up until 1:00AM when the guestlist line closes. Make sure you and everyone give them enough time to get through the line waiting time. Can a group of guys be added to the Jewel guestlist at Jewel Nightclub? Yes but they must have an equal number of girls in the group with them to receive admission benefits. If you are a group of guys, with no girls we can put you in contact with out host who you will need to tip to get you through the line. 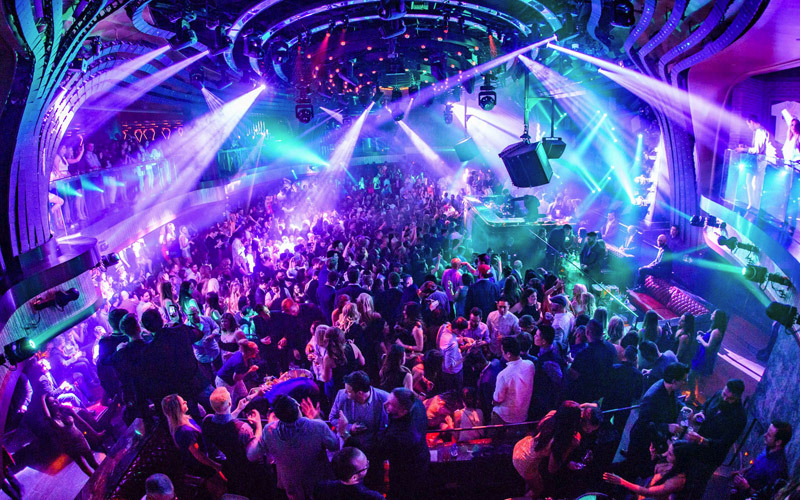 Learn more about Jewel Nightclub Las Vegas .